A Marvel of the night! Last night the pick of a measly crop of 8 moths to the Actinic was undoubtedly this pristine large female Merveille du jour which directly translates in French as 'Marvel of the day'. Of course with moths being primarily nocturnal, it certainly was the marvel of the night for me. It wasn't the only moth new for the year as Yellow-line Quaker also put in an appearance. I'm still hoping for something extra special in the trap, high on the list is probably Dusky-lemon Sallow, Flounced Chestnut and Dewick's Plusia. 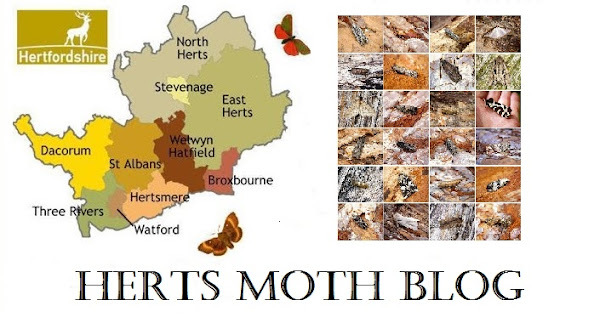 I can only dream of such moths at present but you just never know! You've won the star prize! I Certainly did! Thanks Simon.